What is a deserted island worth? On our last day we decided to find such an place, off the beaten track, the equivalent of a road less travelled. This island would be about an hour south of Coron, one among the hundreds of smaller islands sprinkled along the north-eastern Palawan coastline. We found Dicalubuan Island, a.k.a. Banana Island. The warm gentle water and soft white sand was beyond expectation. With only a handful of revelers, the beach was practically our own. And the price? It was a gusty day to be boating near open sea so the ride was rougher than we expected. There were tense moments, but it was well worth the enchantment. Enjoy. 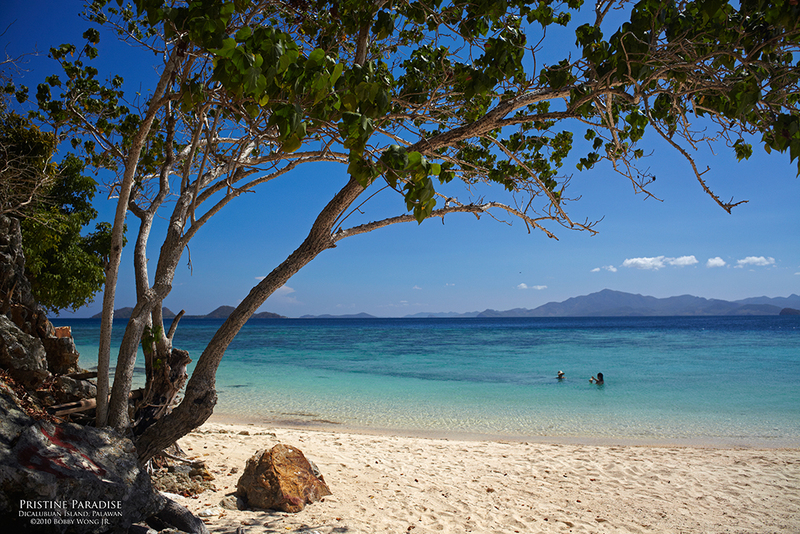 Where in the world is Dicalubuan Island in Palawan?